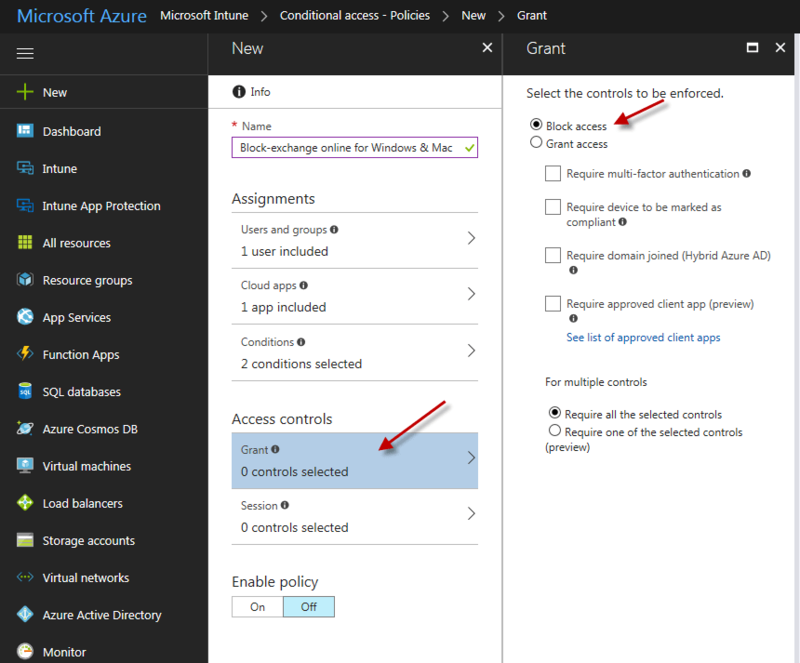 In this blog post, we will see how to use conditional access to deny/block access to Office 365 Exchange Online (emails) from windows devices and mac devices . 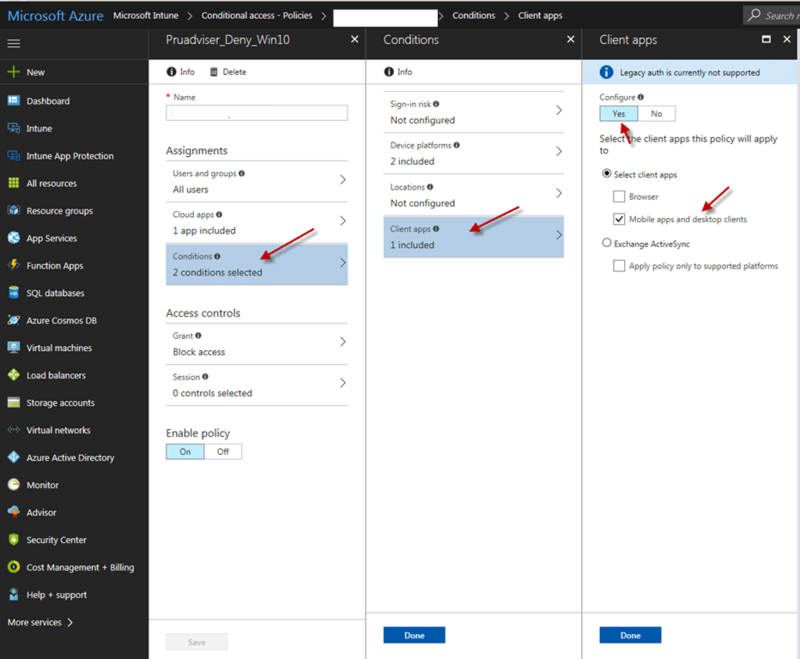 To block access to o365 exchange online (not for exchange on-prem) from windows and mac devices using mobile apps and desktop apps like outlook or other apps ,we need to create condition access policy with assignments and access controls. 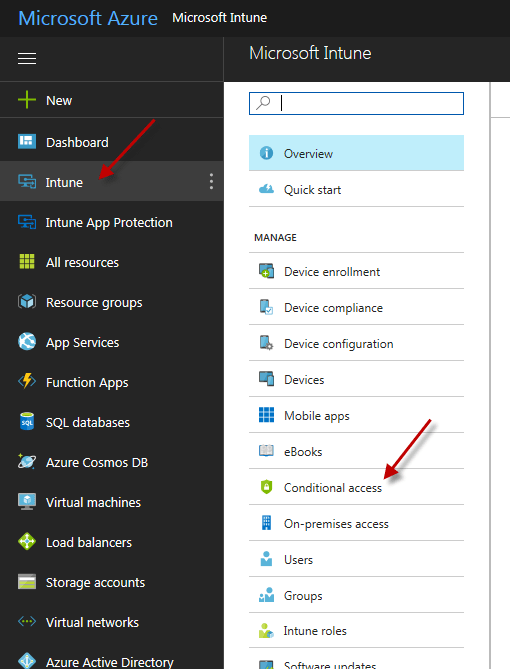 to start with ,go to https://portal.azure.com ,click on Intune on the right side, click on Conditional access. 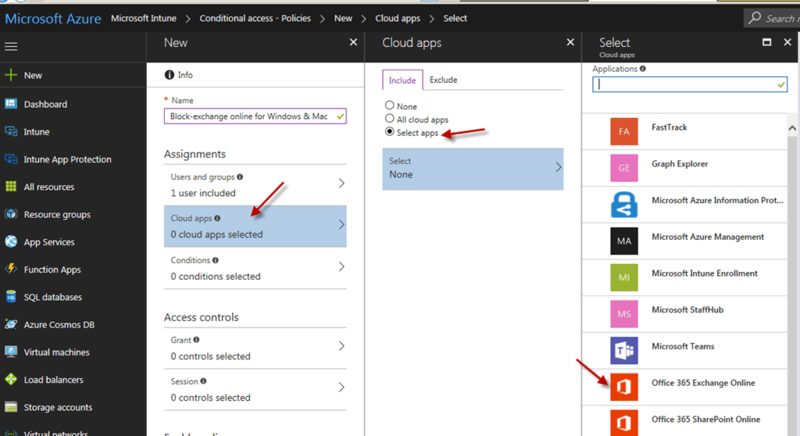 On the client apps ,choose mobile apps and desktop clients (since we have chosen only windows and mac, this will apply to desktop clients and no mobile apps) . 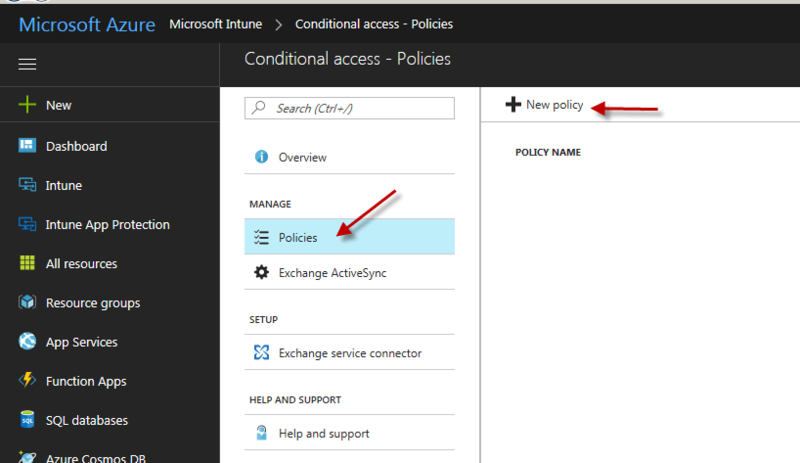 If user is trying to access access exchange online using native app (that comes with windows 10 by default or desktop clients) from windows or mac device for emails ,they will straight away hit following error message which is coming from conditional access. 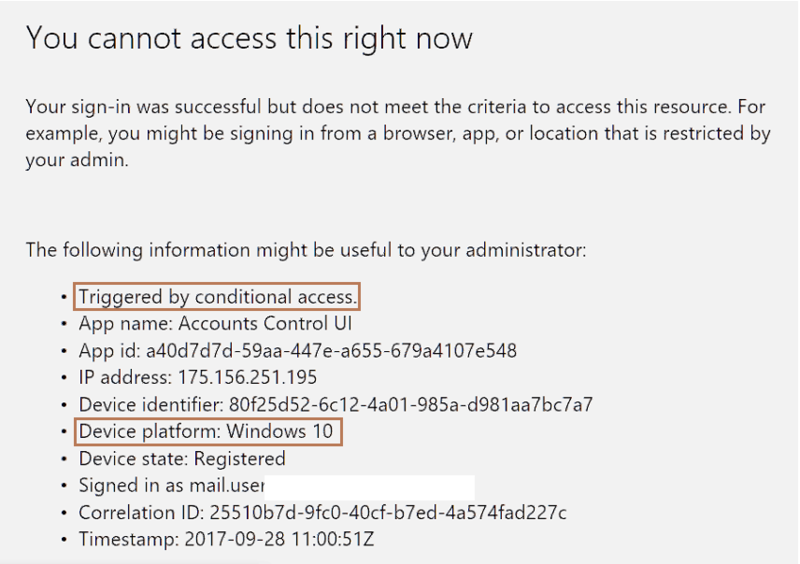 One Response to "Conditional Access to deny /block access to exchange online from windows and mac devices"
I'm testing around this scenary. Firstly I blocked totally access to Exchange Online. It seem works. If I try to setup an Outlook client from PC or Android phone it's not possible. However, if mailbox is already configured, it continue send and receive mails. 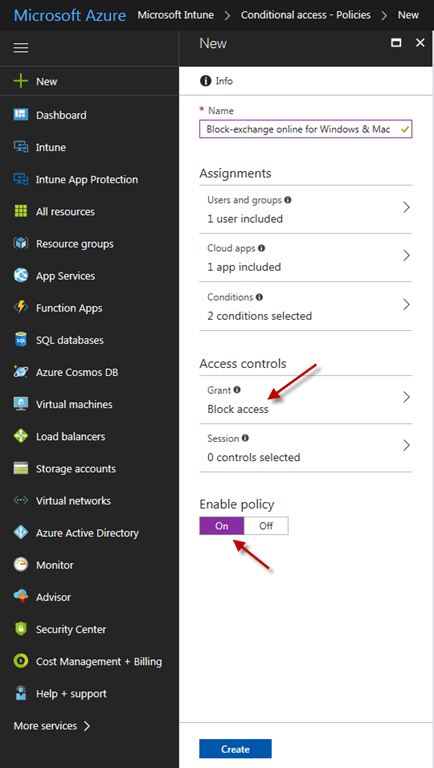 How can I force to close the session already open?